Join us as we learn about the sweeping saga of two extraordinary men, whose lifelong competition and enmity toward one another changed America’s notion of health and wellness from the mid-nineteenth to the mid-twentieth centuries. They helped change the course of American medicine, nutrition, wellness, and diet. Just imagine...one was a physician spearheading the nation's nutrition awareness, the other founded the sugared cereal company! 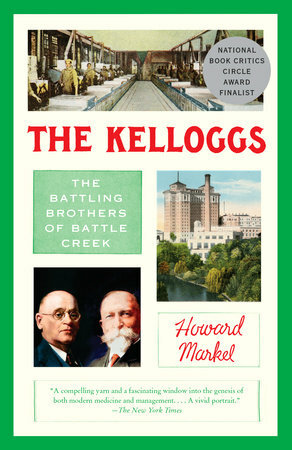 The book was a 2017 National Book Critics Circle Award Finalist for Non-Fiction, and author HOWARD MARKEL, M.D., Ph.D., is the George E. Wantz Distinguished Professor of the History of Medicine, and director of the Center for the History of Medicine at the University of Michigan. It should be an enlightening and fascinating discussion. Please plan to attend. This is a ticketed Event. Your $5 ticket may be used as $5 off any purchase the evening of the event.